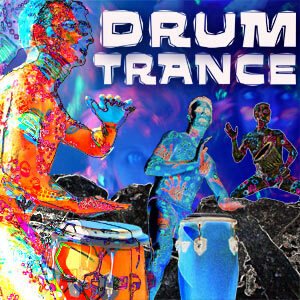 Natural Trance is a patchwork linking modern culture with ethnic sound. The Hilight Tribe, five musicians and one sound doctor at the mixing desk, play a live performance for the dancefloors of the 3rd millenium. Digeridoo, Djembe, Guitar, Congas, Drumset or Bass , among others, come in synchronization with the Drum kick. 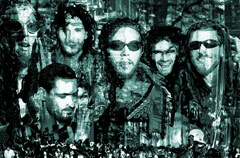 Travelling the world is part of the deal, that's how the band finds its happinness, inspirations and way of life! The six people of the band play Trance music with guitar, bass, didgeridoos, rock drum and a lot of ethnical percussions, adding sometimes Indian and Tibetan mantras, all filtered with special effects to produce a powerful trance live act considered in all the Festivals and concert rooms as one of the better French bands, and trances live act. Percussive instruments pulse in the didgeridoo's rhythmic breath of fire and scorched earth. 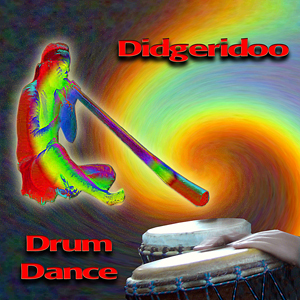 Primal growls, ululations, voice calls and animal sounds manifest the Dream-dance mystery…Thrills of the tribes transmute into stirring tracks to let you let go, hang loose and trance out to the lost frontiers of the mind on these ambient world-beat didgeridoo drum dance mixes. Another uplifting energy sound grid for worldbeat dance masters around the world: King didgeridoo blows up the drum n’ bass’s deep space… sizzling synthesisers keep the trance dreaming across myriads of stars inside your mind… divine lines of luminous light emanating from popular rhythms rocking the club scene! Tribal music of modern trance dance with a twist of the tribal world: The drums entrance past and present in an intoxicating party with ethnic influences, uplifting rituals and celebrations of Life - dub mixes of percussion, tribal voices, didgeridoo, with inspirations from Africa, North America, Egypt, India, Central Europe, Pakistan, Australia. - Dance till you drop! "When the Earth shall be ill and that humans will have forgotten who they are, then, members from every race of the planet will unite and form one Tribe. It will save humanity and clean what is to be cleaned. The persons constituting this Tribe will be Rainbow warriors" - Hopi Prophecy.